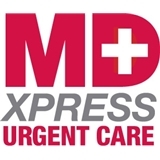 MDxpress Urgent Care (White Plains) - Book Appointment Online! MDxpress is a state-of-the-art urgent care center founded and run by a team of board-certified emergency room doctors from one of New York’s top hospitals. Our team of doctors have trained and worked together for many years and have now brought their expertise and care to Westchester. He was downright professional. He knew exactly how to treat my condition.. I definitely recommend.. ??? ?